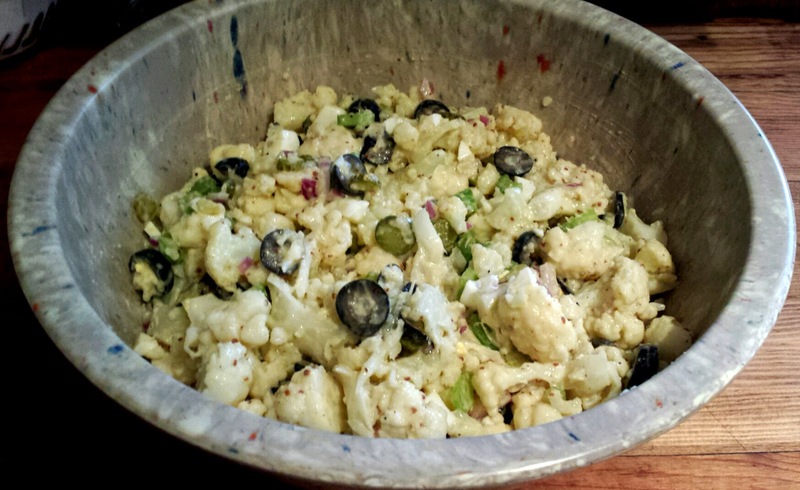 Looking for a reduced calorie alternative to your traditional Potato Salad? Well, you found it dudes! 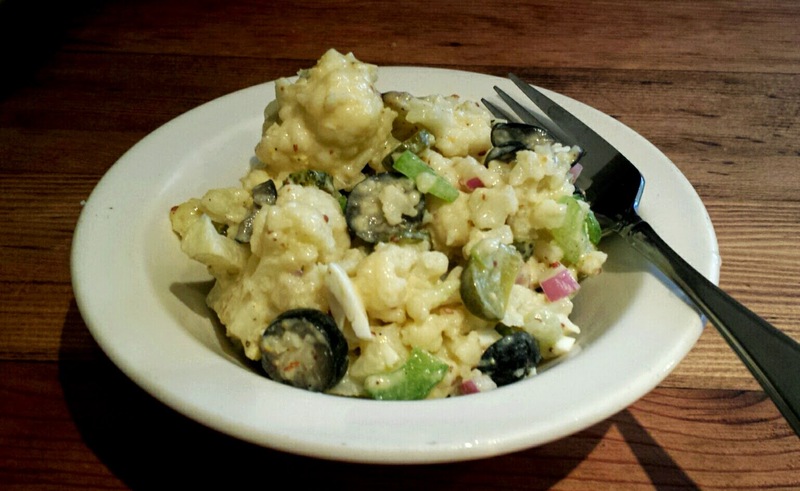 With our "mock" Potato Salad you get all the taste and deliciousness without the added heaps of calories, fat and sugar. Dig in! 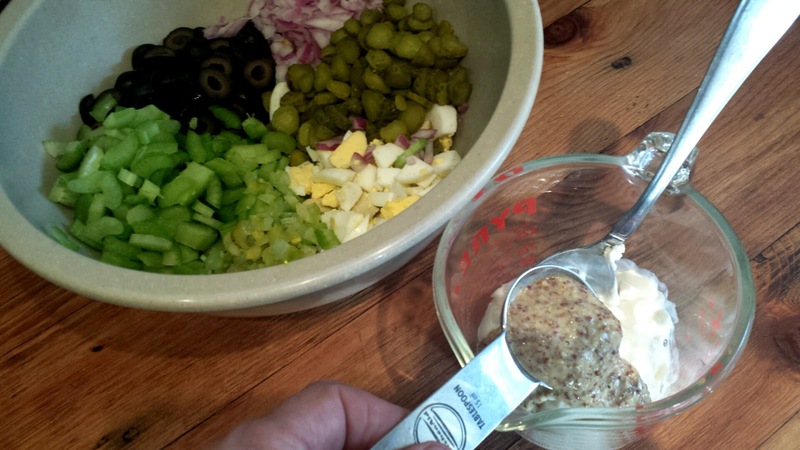 1/2 c.Diced Pickles (63g) we used Garlic, Dill & Onion Petites. 3 Medium Celery Stalks (120g) diced. 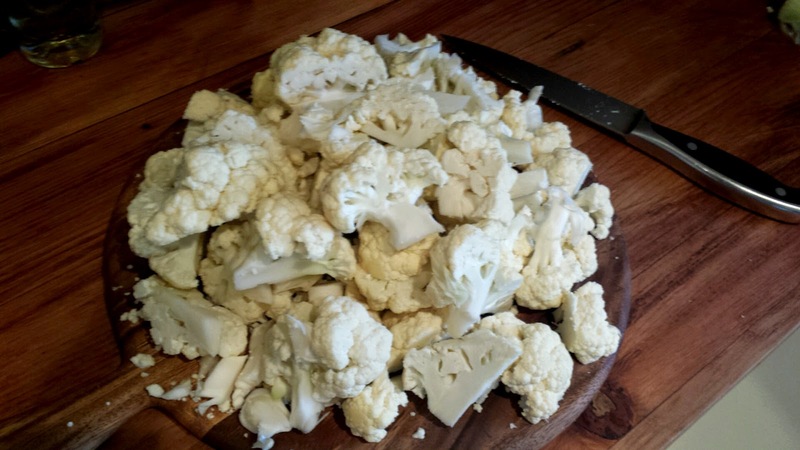 Cut up your cauliflower into bite size portions and put them in your pan. 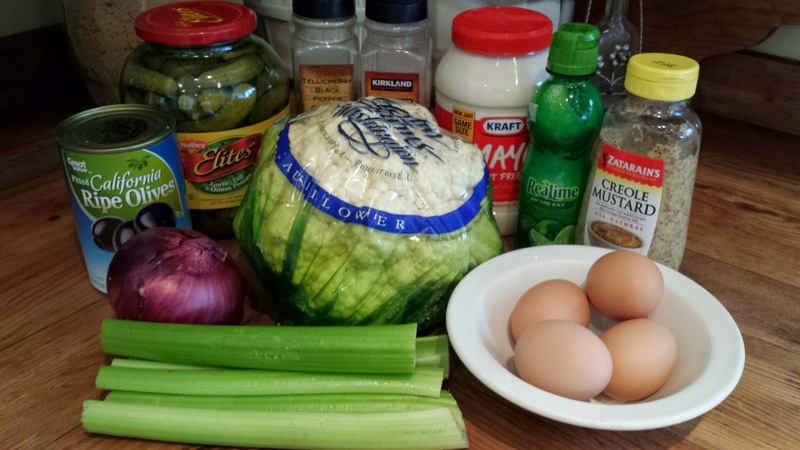 While your cauliflower was cooking, you would have chopped your eggs, diced your pickles and celery. Sliced the black olives, diced the red onions and put them all in a bowl....waiting to be added to the cooled down cauliflower. 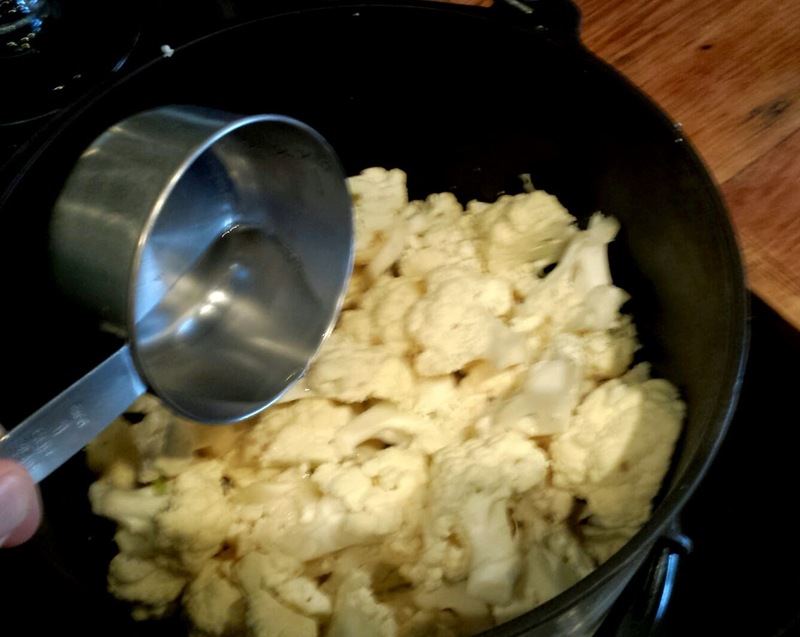 In a smaller bowl or measuring cup, mix your fat free mayonnaise and mustard then add salt and pepper to your taste. Now, add all the ingredients into the large bowl and mix. You can add more salt and pepper if needed. What a GREAT recipe if you're watching your calorie intake. 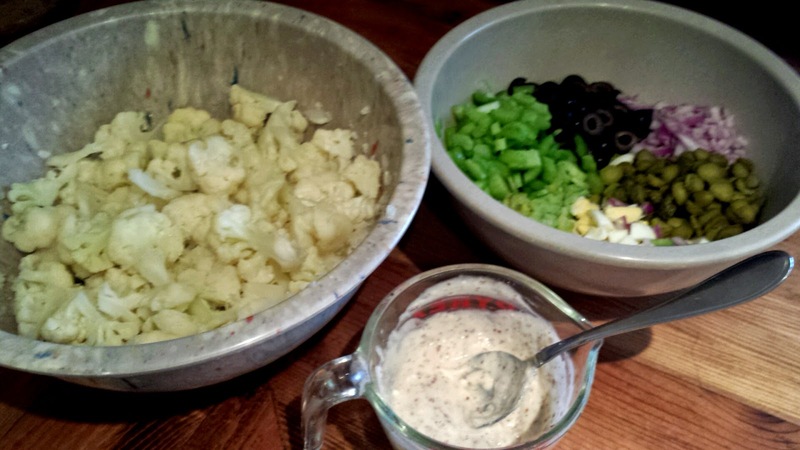 One cup of regular potato salad is around 300 calories....this one is only 91 calories per cup. Last week's boiled eggs came in handy, right?